The BBC is no stranger to controversial statements tinged with anti-Semitic and anti-Israel sentiments, including shocking questions at the recent Paris anti-terror rally and talk of a powerful "Jewish lobby" - now it has raised ire again by suggesting it is time to forget the Holocaust. As the world on Tuesday observes International Holocaust Memorial Day and the 70th anniversary of the liberation of Auschwitz, the most lethal of the genocidal Nazi death camps, BBC decided to ask on the Twitter page of its "The Big Questions" debate show a particularly troubling question. "Our one big question this morning: Is the time coming to lay the Holocaust to rest?" read the Twitter post, issued two days before International Holocaust Memorial Day. In announcing its The Big Questions debate show for Holocaust Memorial Day, the BBC press release last October said "a one-hour special Big Questions on BBC One will look at the anniversary and the issues involved from never forgetting, to man's inhumanity. It will also ask: could something like this happen again?" Many are asking how the question "could something like this happen again" warped into "is the time coming to lay the Holocaust to rest?" Honest Reporting Managing Editor Simon Plosker responded to the Tweet, saying "what or who exactly does the BBC want to lay to rest? Holocaust survivors? The memory of six million Jewish victims of Nazi genocide?" 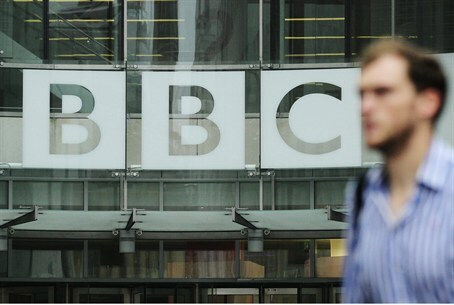 "The BBC evidently has no moral compass when it comes to Jews or Israel," charged Plosker. "Why should this even be up for debate and why is it only issues of immense importance to Jews that the BBC is prepared to ride roughshod over?" "The BBC originally asked could something like the Holocaust happen again. Asking whether people should forget about the Holocaust could very well increase the possibility of it happening again," he concluded.